Because automotive engineers are constantly developing new solutions for cars, major automobile manufacturers are able to equip their vehicles with enhanced gearboxes. If you’re seeking the latest aftermarket gearbox products or OEM options, you’ll have many choices, and each option can provide big benefits on the road. Check out the following techs. By operating a vehicle that’s designed with an advanced automatic transmission, you’ll experience enhanced performance while implementing shifting procedures. However, since an automatic transmission with a manual mode is designed with unique hardware, the timing will vary. The big advantage is that the manual mode gives a driver more options. This means that you can pick one gear and drive without worrying about frequent gear shifts. If you try to drive a car that doesn’t have an automatic transmission with manual control, the transmission will stay in one gear because the hardware will shift to a higher gear as the car reaches increased speeds on the road. Although there are many automotive brands that build these transmission systems, most hardware will feature a shift gate. A typical shift gate has a joystick design that handles downshifts and upshifts. 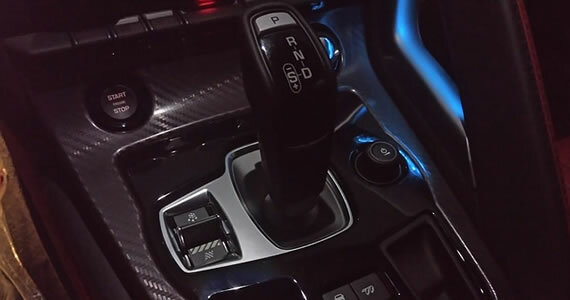 Shift paddles are also available, and engineers usually place the paddles on a steering wheel so that a driver can implement shifting procedures with ease. Direct shift gearboxes are built with dual-clutch hardware. These transmission components are typically used when engineers build modern cars and sporty motorcycles. This part is designed for an automatic transmission, and the hardware can enhance a turbo engine by upgrading the horsepower and torque. In many cases, after a direct shift gearbox is mounted in place, a motor will run faster since the duel components boost efficiency. A sequential gearbox is commonly used when motorcycles and turbo vehicles are built. If you’re going to tackle racing routines, you’ll benefit from operating a car that’s equipped with this kind of gearbox because it’s specifically designed for demanding driving situations that require enhanced speed, horsepower, and torque. This gearbox can also provide benefits during racing events on a motorcycle since the unique layout simplifies shifting routines. While riding a motorbike that has a sequential gearbox, you can shift gears by pressing the lever with your foot. When compared to other motorbike shifting hardware, a sequential gearbox is more efficient because it implements shifting procedures quicker. In order to protect a gearbox, you must pursue repairs at a place like Shute Upton Engineering whenever your car or motorcycle doesn’t shift properly. If a mechanic needs to replace a defective component, you could obtain a commercial-grade gear hardware by visiting a shop that stocks automotive products. These gearbox options are the latest products that are designed for modern motorcycles and cars. 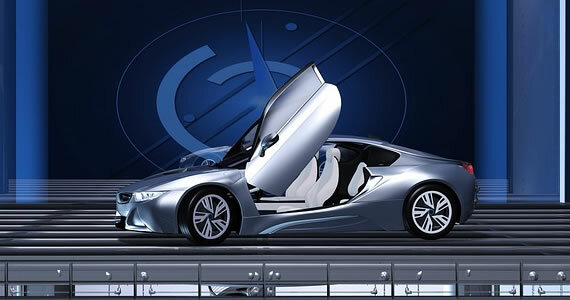 Because the automotive industry is driven, many new products will debut over time by various engineers. For years, steel was undoubtedly one of the most popular metals used in the automotive industry. In 2014, trends in steel usage showed that automakers relied heavily on sheet metal companies. According to estimates that were released by the World Steel Association, about 12% of steel sheet metal consumption was in the automotive sector. Unfortunately, demands for more efficient vehicles creates the need for the use of different metals. This has led to a change in the most recent metal trends in the automotive industry. Gasoline consumption per vehicle has declined in the recent years, however, the number of vehicles on the road is still increasing. In fact, even with fuel-efficient improvements in vehicles, gas consumption was at a record high in 2016 in the United States. The gas that is consumed, the more harm it is doing to the environment. Since pollution and conservation are getting attention, new initiatives are being rolled out by the Environmental Protection Agency. The EPA has recently announced that there will be a push for emissions reduction. Newer cars produced after 2025 are expected to get 54.4 miles to the gallon to comply with regulations. The only way for automakers to release vehicles that come even close to the fuel efficiency targets that will be passed over the coming years is to use lighter weight materials like aluminum and plastic. The use of the lightweight aluminum alternatives has helped automakers design more efficient cars, but this has started to eat at the steel market share. Steel was often used as an alloy in the production of auto body parts because it is believed that the metals were less likely to crumble when involved in a collision. Steel is a great metal, but there are safer alternatives that can be used in the automotive sector. Alternative metals that are able to absorb kinetic energy in a crash to reduce the incidence of injury for vehicle occupants. Some of these alternatives are other materials like aluminum and other alternatives are made of composite plastics. Each are being tested in crash tests through the Insurance Institute for Highway Safety. Aluminum is light in weight and extremely durable. This is a major reason why it’s estimated that aluminum usage in the production of vehicles is expected to go up by 20 percent between 2015 and 2025. The only major drawback is that aluminum is much more expensive. This leaves companies that produce steel and other sheet metals looking for a happy medium between lightweight durability and pricing. Some cars need no introduction. They have become such an important part of culture through television and films that their images are instantly recognizable. Fans enjoy watching famous vehicles onscreen, but the end result is the product of long hours by talented set designers and prop makers. From the streets of Gotham to the streams of time, these four iconic vehicles wouldn’t have been possible without hard work and innovation. 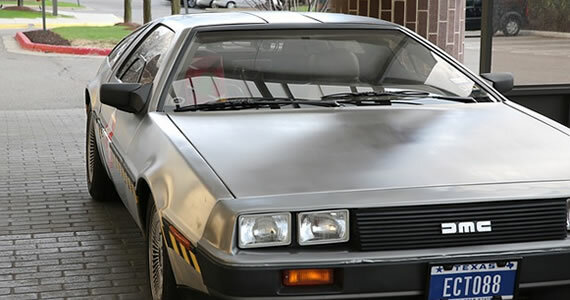 The famous vehicle’s flux capacitor and Mr. Fusion energy reactor might not really take drivers back in time, but Doc Brown’s amazing invention was built around a real car, the DeLorean DMC-12. Fewer than 9,000 models were ever produced by the DeLorean Motor Company, and five of them were used in the Back to the Future films. The DeLorean’s wacky gull-wing doors made it the perfect base for a homemade time machine. Film designers tacked on extras like a fake nuclear reactor and vents. They also added panels of lights and buttons in the car’s interior for a time machine glow. 7’s most iconic ride, the DB5 began life as a higher powered version of Aston’s Martin’s earlier DB4 model. Special effects maven John Stears outfitted a prototype of the DB5 with bells and whistles for the film Goldfinger in 1964 and instantly created a movie icon. The car was equipped with $33,000 worth of modifications, including fake machine guns mounted on the front bumper. Other gadgets were decidedly more low tech. During one chase scene, a crew member hid in the trunk of the car and directed smoke out of a small hole to mimic an automatic smoke screen. The design team used a second stunt car for the famous scene where the Bond villain is unceremoniously ejected through the roof. 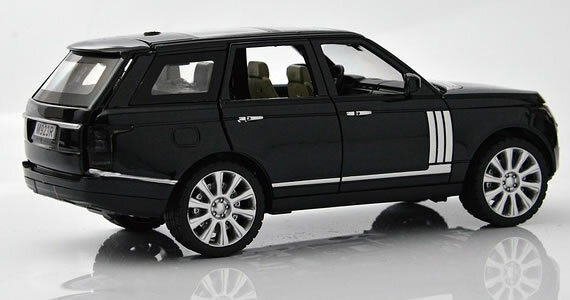 The car was so popular that it went on to make an appearance in seven other films in the Bond franchise. Iconic 1980s TV show Knight Rider wouldn’t have been the same without David Hasselhoff’s trusty computer sidekick, K.I.T.T. who piloted the Knight 2000, the original self-driving automobile. The car was built around the body of that staple of 80s cool, a 1982 Pontiac Firebird Trans Am. Show creator Glen Larson decided he liked the body style of the new Trans Am and determined it would be perfect for his new series. The series was able to acquire a group of Trans Ams when an auto transport trailer crashed and lightly damaged 32 brand new Trans Ams. While this could have been avoided by using a more reliable auto transport company, like Dependable Auto Shippers Inc., it ended up giving Larson more than enough cars to use on Knight Rider. Visual effects designer Michael Scheffe added a red scanner to the front bumper of the car based on the design for Cylons from Battlestar Gallactica, another one of Larson’s shows. He also filled the car’s interior with light-up electronics for a high-tech feel. Unlike many other fictional rides, the original Batmobile used in the iconic 1960s series was not based on a commercially available vehicle. Designer George Barris instead used the hand-built 1955 Lincoln Futura, a concept vehicle. Barris was running on a tight deadline of 15 days and he raced to add extra features to the car. He painted it black with red-orange trim and altered the car tailfins to mimic the look of a bat’s wings. He then installed a steel safety roll bar with pulsating lights over the passenger and driver’s seats. To complete the superhero design, Barris added a large afterburner on to the rear end of the car. Whether they’re being driven back in time or racing to defeat criminals, these iconic rides have captured the imagination of audiences everywhere. 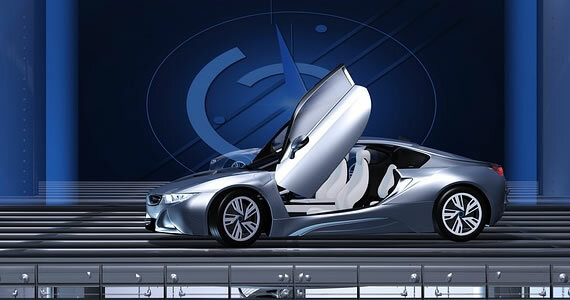 By combining technical know-how with automobile engineering, designers and special effects teams have created the world’s most recognizable characters on wheels. Self-Driving Cars: What Can We Expect? Talk about self-driving cars, also known as autonomous vehicles (AV), is nothing new. Depending on where you live, you’ve probably seen a few Google AVs driving around your neighborhood. While major auto manufacturers have a goal to get AVs on the road by 2020, it may be awhile before you can experience one. Don’t know much about AVs or want to know the projected time in regards to self-driving cars? We’ll get you up-to-date about the cars of the future. After over 100 years of driving the vehicles we know and love today, why make the switch to self-driving cars? One of the major pushes to put AVs on the road is to eliminate accidents and increase roadway safety. According to the National Highway Traffic Safety Administration (NHTSA), over 90 percent of car accidents are caused by human error. While road conditions and mechanical issues are at fault from time to time, drivers have become too hurried, too distracted, and too reckless. Can self-driving cars really make our roads safer? Yes, as long as they are consistently better drivers than the average human driver. Self-driving cars will have the same safety features, such crash avoidance, and lane departure warnings, that are already present in some newer standard vehicles. In the cars we drive, currently, these features are supplemental and require human drivers to have full control. In self-driving cars, these features must work flawlessly and without any interruption. Thanks to constant connectivity, the sensors that are always “reading” the environment, and the software installed to collect data and help make AVs better drivers, an AV will be safer. Despite the promising future of safer roadways, there are many things to sort out and think about before a mass release of self-driving cars. Will the technology behind AVs be secure? Who will be held liable in an accident with a self-driving car? Will the same laws apply to AVs? Considering the cars we drive today, and laws surrounding them, it may take years to figure out legal issues regarding AVs. When Will We Own Self-Driving Cars? While there’s a very good chance that we will continue to see a slow increase of self-driving cars on our roads by 2020, you probably won’t own a self-driving car until 30 or 40 years from now. Why? First of all, the cost of an AV costs hundreds of thousands of dollars. The sensor, one of the most components, can cost over $80,000 leaving the average cost of the AV around $250,000. Since self-driving cars will need to be safer and smarter than today’s drivers, AVs must be able to handle any kind of roadway scenario, and it will take some time to get it right. Self-driving cars are and will be, without a doubt, a luxury and novelty (especially in the beginning), but if you’re like a majority of car owners, your top priority should always be safety. It seems like just about every car these days has some sort of new technology. We’ve all heard about back-up cameras, automatic trunks, and blind spot alerts. Don’t get me wrong, these are all great features to have on your next car, but these aren’t the hot features that will really set your car apart and make your neighbor jealous of your ride. When you get a new car, from somewhere like Jack Burford Chevrolet, you want to make sure to get the best car for you with all of the hottest new features. Here are a few great new features to look into for your new car. This is the cup holder of the 21st century. It’s a feature that most parents don’t even know they need. Think about all the soccer snacks, fast food wrappers, and dirty shoes that are sure to make a mess in the back of even the most careful parent’s new car. The days of rushing home and dragging the vacuum out to the car are over. This vacuum is conveniently already in your car and ready to clean up any mess life may throw your way. The Honda Odyssey is the first van to have this convenient feature, but I’m sure more cars will start including vacuums in the near future. Everyone knows that it’s a huge mistake to use your phone while you’re driving. However, most car manufacturers have realized that you often need to see information from your phone while you’re driving. Luckily, now-a-days there are things like Android Auto and Apple CarPlay. Both of these offerings let Android and iPhone users see their phone screen right in the dashboard of their car. This is a much safer way to have access to all that smartphone information while driving. There isn’t a situation much more stressful than trying to parallel park on a busy street while lots of traffic is piling up behind you. That’s why the automatic parking feature on many new cars is so genius! It takes out all the guesswork and automatically parks using a series of sensors and cameras. This can definitely help make the most difficult parking a breeze. While it’s true that many cars today have backup cameras to help you see directly behind you, a true drool-worthy feature to have on a new car is the ability to see everywhere. The new 360-degree view camera systems allow drivers to park with confidence and see hidden obstacles by providing a birds-eye view from above the car. This is the perfect feature for anyone who needs to park in tight situations. Hopefully the features listed above will whet your appetite and give you some inspiration as you are searching for your next new car. These features are useful, practical and will hopefully help you determine which new car has the features you need the most.